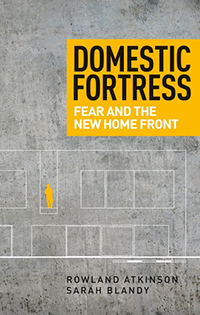 Homeownership and the increasing fortification of the domestic home are linked by our increasingly neoliberal society. Home goes to the heart of the economy. We know that homeownership has been integral to a series of national political projects, on both the political right and left, for decades. The growth of homeownership has occurred in tandem with the slow death of social housing and the near-death experience of capitalist economies as the risky issuance of mortgage finance nearly toppled exposed financial institutions. Within housing studies the story of homes, risk and politics has been discussed for many years now. We know that the private home offers a sense of primal sanctuary from the elements and forms of social danger, yet more than that to own the place we call home offers a project to insure ourselves and our families from financial risks and the evasion of perpetual payments to landlords. Owning our own home also incentivises and makes possible the addition of security features that have been linked to the long decline in burglary rates. The increasing stagnation of property values being seen today in some markets today come at the tail-end of literally decades of inflation-beating prices that have also made ownership an attractive possibility. One way to summarise these complex recent historical forces is to suggest that homeowners have been ‘bought’ by political ambitions to enable and indebt those dreaming of ownership in a sea of debt and social insecurity. These same political formations have been the ones which have eroded state supports and security in the wake of the global financial crisis, adding weight to the view that wealthier groups have borne much less of the cost of getting us out of this mess. Despite declining homeownership rates the desire to own, a logical desire given the insecurities and poor quality of renting and history of house price growth, remains undampened. How else to find a place of relative security in an ever-more threatening world around us? How else to provide a low-cost dwelling space in old age and somewhere immune from rent-hiking and nosey landlords? Around a decade ago it had become the vogue to talk of our emergence into a society characterised and indexed by fear. Citizens were fearful of crime, governments were anxious about change while peddling costly interventions to help allay fear, such as the expansion of the prison population, and, at the same time, promoted anxiety-inducing panics (such as concerns about immigrants and criminal ‘others’ in our cities) that would boost their own electoral fortunes as the potential agents of security. No amount of security could be too much and the emerging research on gated communities told us that even in these apparently affluent and securitised neighbourhoods residents were fearful at home and terrified once they left these compounds. The prospects for interventions of social investment, inequality reduction and welfare that might address the roots of these cultural and political formations appeared weak then, but now feel even weaker. Homeownership in the western market societies, those characterised by high levels of income and wealth inequality and a privileging of market responses in almost all sectors of social life, is under threat – ownership in England between 2001 and 2011 declined from a peak of 69% to 64% of households. This decline has if anything spurred renewed concern about the political project aligned with realising the ambitions of large swathes of the electorate at large (notably the raft of misguided demand-side subsidies under the rubric of the ‘Help to Buy’ scheme). Homeownership, as a form of social security as we have come to understand it is under threat but, unsurprisingly, is also demanded as a basic need by citizens. 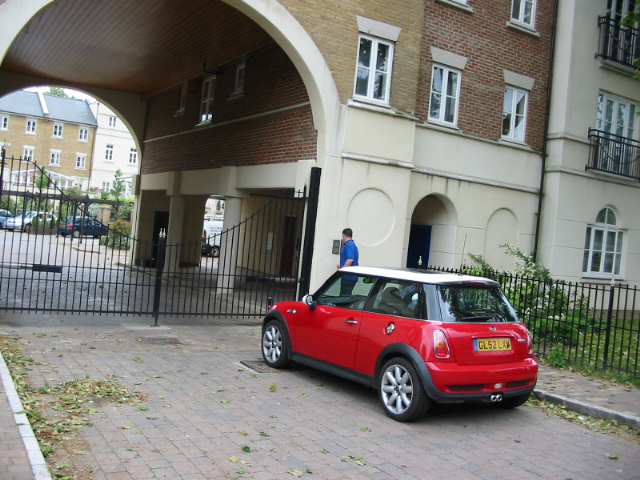 Among those who are already owners these privileges are increasingly associated with forms of what we describe as ‘domestic fortification’ that have democratised and extended the logic of the gated community – security and social escape are something that we are all able to purchase. Driving through many suburbs, as we have, one can easily find examples of the fortress home – large, often electronically driven, gates, high walls, security cameras now appear alongside the more traditional systems of burglar alarms, double-glazing and securely locking doors and windows; such features are particularly attached to a geography of affluence. These changes suggest that primal and socially widespread yearnings for predictability, safety and control over our household safety have been further emphasised under neoliberal social conditions. These are now entwined with new fears of social insecurity, displays of social status and the use of security technologies to reduce perceived sources of risk in an increasingly atomised society in which we feel that it is largely up to us to keep ourselves safe. The fragmented archipelago of fortress homes and gated communities in the UK alone is suggestive of a mosaic or tessellated map of protected dwellings that have arisen as a result of the longue duree of neoliberalism. This material re-making of our built environments in the name of security is connected to ideological positions that have become internalised by us as social agents – the home is the last fully predictable and secure base from which we issue forth into a world that appears risky and destabilised by cuts to policing, social services and degraded public spaces. As social inequality has become more entrenched over the past three decades the accusation that market ideals have served the most affluent appears plausible. Yet these ideals have also been key to generating more alienating and fear-inducing urban landscapes in which dreams of total security and escape from society have become a part of our everyday social experience.